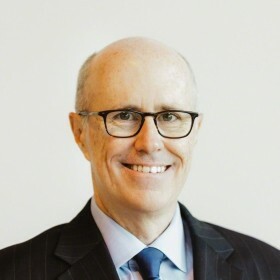 Jim Keane is President and CEO of Steelcase Inc., the global leader in the office furniture industry. He has helped Steelcase evolve from a manufacturer to a partner that creates furniture, architecture, technology and experiences – for places that unlock the human promise of people. After a 17-year Steelcase career, Jim was appointed CEO in March 2014. He is only the ninth person to lead the company in its 107-year history. Founded in Grand Rapids, Michigan, Steelcase today is a $3.4 billion company with factories and sales offices around the world. More than half of its 12,000 employees are now based outside of West Michigan. Jim gained broad exposure to the business through a variety of leadership roles at Steelcase. At various times, he led research and development, corporate strategy and IT, and served as Steelcase’s chief financial officer. Prior to becoming CEO, he led the sales and marketing functions for the Steelcase brand. Jim serves on the boards of Rockwell Automation, IDEO, Grand Valley University Foundation, the Economic Club of Grand Rapids and the Business and Institutional Furniture Manufacturer’s Association (BIFMA). He earned a Bachelor of Science degree in accountancy from the University of Illinois, and a Master’s in Management degree from the Kellogg Graduate School of Management at Northwestern University.